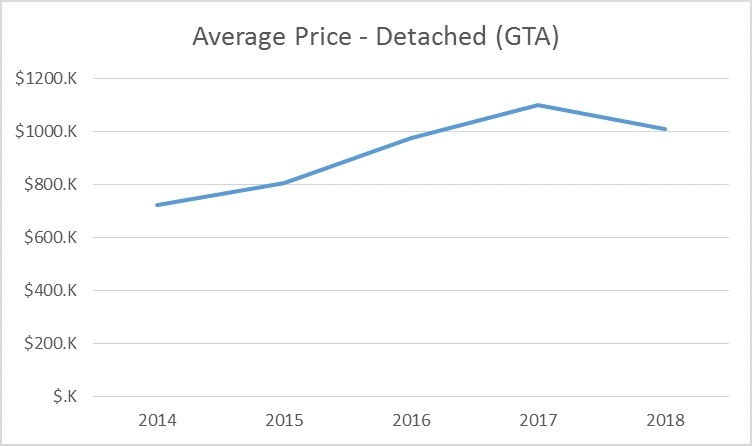 As we welcome 2019, the team at MAC Real Estate Services Inc., Brokerage can’t help but reflect on 2018 and how incredibly different the year was in terms of real estate in Toronto and the Greater Toronto Area (GTA). 2018 saw condominium units continue to dominate. 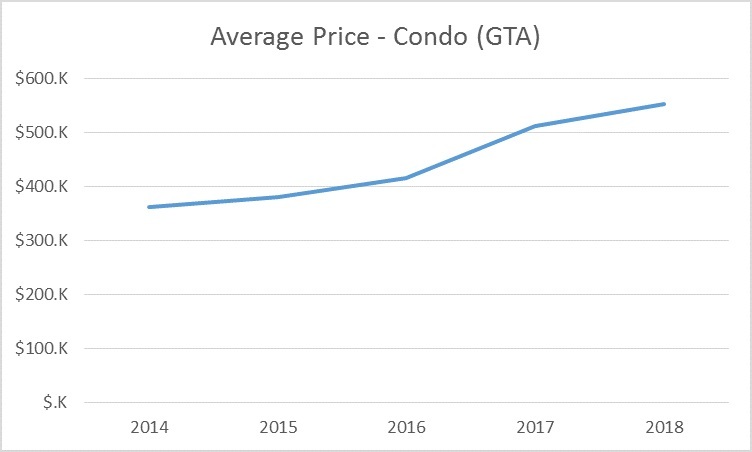 The average price of a condo in the GTA was up 9.91% to $554,497. Compare that to the average price of a GTA detached home, which decreased by 4.44% to $945,580. Condos continue to show the greatest increase in value. What can we expect in 2019? Well, first of all, none of us are clairvoyant. But with statistical data in hand, we can make some fair assumptions about how 2019 may transpire. The Chief Economist at CMHC (Canada Mortgage and Housing Corporation), Mr Bob Dugan, has noted that the outlook is that of moderation, with a leveling out. This means that prices will be more in line with income, job and population growth… more balanced. Condos will continue to dominate for first time home buyers, investors, and those looking to downsize. The rental vacancy rate in Toronto will continue to be low, meaning landlords will have greater control over rental rates. The result? Buying a condo in Toronto will continue to be a viable option for first time home buyers and investors as rents grow beyond affordability. Pre construction condo projects will continue to be popular. The trend towards townhouses will increase as higher housing prices will make detached homes less desirable. Those willing to buy in the suburbs such as York, Durham, and Peel regions may be able to find affordable options, as these areas will see less price appreciation than Toronto, Mississauga and Markham. Real estate investors are also noticing this trend and becoming more creative by focussing on student housing in cities such as Waterloo, Guelph, Kitchener, and Windsor. What about mortgages? Banking experts are suggesting that “there will be flat to low-single digit mortgage growth this year”, as indicated by CIBC’s CEO Victor Dodig. The Bank of Canada is expected to hold its key interest rate at 1.75%, regardless of the recent hikes by the central bank. No need to stress over mortgage rates. The average interest rate is quite low, and very manageable. Compare that to the average since 1935 is approximately 11%, so 1.75% is desireable. Interested in buying real estate in Toronto & the GTA, or perhaps investing in Toronto real estate? Moving to Toronto, or are you part of a Toronto relocation with your employer? The team at MAC Real Estate Services Inc., Brokerage can help you with all steps of the process, from finding a new home, temporary housing in the meantime, settling in services, move management, and so much more. So many steps of the move can be handled in advance, so when you arrive we can get you settled much faster. When moving to the GTA, we can help with all aspects of the relocation. We can make moving to Toronto seamless. We are experienced realtors. We know the Toronto real estate market, and can give you knowledgeable advice that leads to exceptional results.